The United People Movement, lead by Dave Levenstone will have green as party color. The Bottom, Saba- The political arena in Saba has just got more interesting with the announcement of Dave Levenstone that he will be contending for a seat in the island council of Saba. 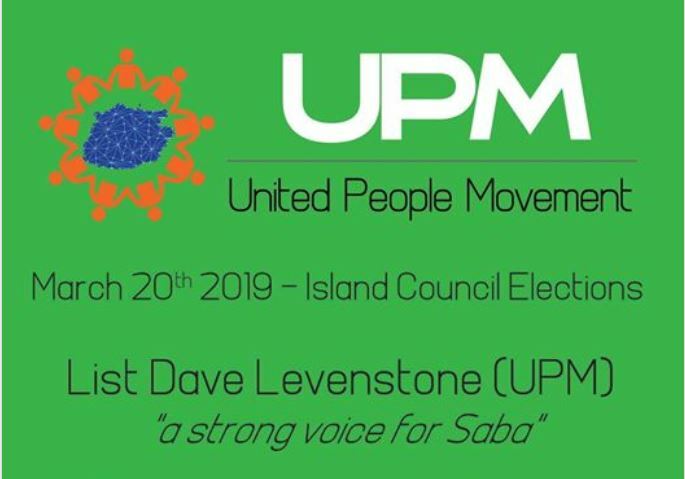 Levenstone will do this by means of a new political party, the United People Movement (UPM). Levenstone has a track record of more than 40 years in Government Service and the last few years -among others- also served as member of the Advisory Council of Pensionfund Caribbean Netherlands (PCN). Levenstone for quite some time has been vocal about what he called the lack of engagement of present local government, but also of the various island council members. According to Levenstone, many elected council members have let the population down. “I want to make a difference and I want to fight for Saba”, according to Levenstone. “I feel that people should not only be active just before an election. People elected to the Island Council, should be prepared to serve a full four years”. Levenstone also said that he plans to continue his work as employee of the Local Goverment.